We all know that saying 'all that glitter is not gold' but with these beautiful sandals, no need to worry! 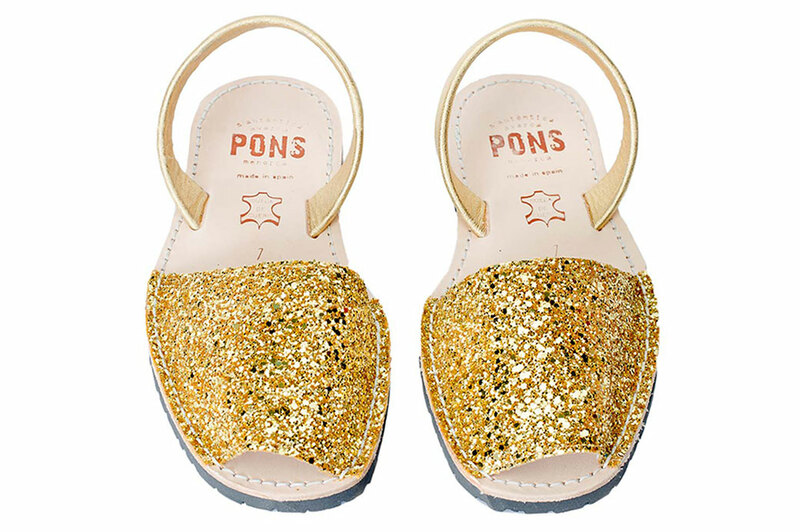 Dance the night away feeling like a million bucks in these women's Classic Pons Avarcas Sandals in Gold Glitter. Handcrafted individually on the Spanish island of Menorca, these Pons Sandals are made from the finest quality leather and have a lightweight rubber sole.